Looking for a professional Property Manager to rent your property? You’re in the right place! Real Property Management is Morningside’s leading provider of Rental Property Management services! At Real Property Management Australia we provide comprehensive, reliable, and trustworthy Morningside Property Management Services at below market rates. When you have an investment property, you want the finest in property management to protect your investment. Whether you are a single property owner or own a portfolio of Investment properties, we’ll effectively manage properties that include single-family homes, apartments, duplexes and townhouses. Our Morningside Residential property management company has many years of experience in property management processes to consistently meet our customers’ expectations while saving them time and money. We utilize proprietary systems to manage the entire process to ensure the highest probability of success in all facets of managing your asset. Our full-service property management services include maintenance, accounting, legal compliance, marketing, leasing, collections/evictions, inspections, and more. Please contact us to discuss your individual needs and discover why Real Property Management Morningside is the leader among residential property management companies in Brisbane. Approximately eight kilometres east of the Brisbane CBD, Morningside residents enjoy its close proximity to the city while taking advantage of the community atmosphere the suburb affords. The population of Morningside has remained relatively stable during the 1990s, primarily due to the established nature of the suburb with a lack of vacant land suitable for new land development. The fact that the area is close to the more prestigious suburbs of Bulimba and Hawthorne has attracted a large number of younger couples who have moved into Morningside to capitalise on its relative affordability. The majority of housing in Morningside was constructed during the 1950s and 1960s, including numerous weatherboard three or four-bedroom houses supported by wooden stumps. However, in recent years the suburb has experienced an increase in the number of semi-detached houses and duplexes, units and townhouses. Like many older suburbs in Brisbane, Morningside has seen a great deal of renovation activity as workers’ cottages and Queenslanders are modernised or renovated. 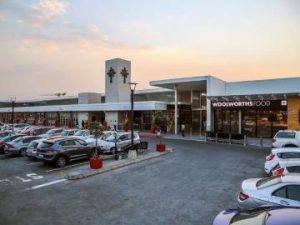 Morningside boasts many facilities and services including a major shopping centre, railway station, private schools and numerous parks and recreational reserves. Considering its close proximity to the city, plus the wide variety of facilities and services in the vicinity, Morningside is a suburb with a lot to offer. 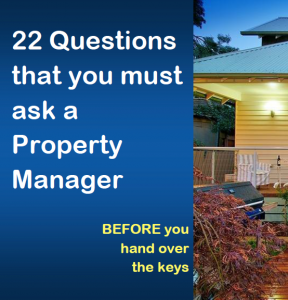 Real Property Management Australia are Morningside Property Management specialists.